Amino AcidsFOURPLUS 4+ Nutrition AAKG+ - 90 kaps. 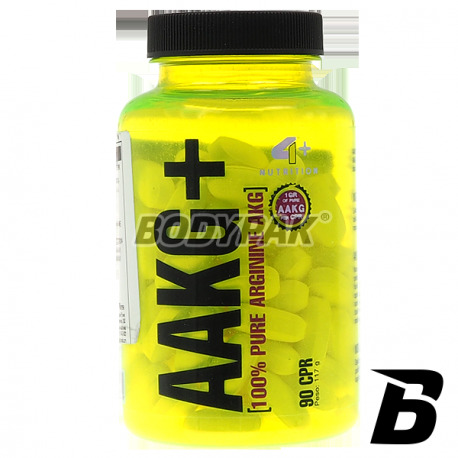 FOURPLUS 4+ Nutrition AAKG+ - 90 kaps. Arginine is a nutritional element, which formed in the body active biological compounds, important for body shaping, developing functional capacity and preserving sexual performance - agmatine and nitric oxide (NO). 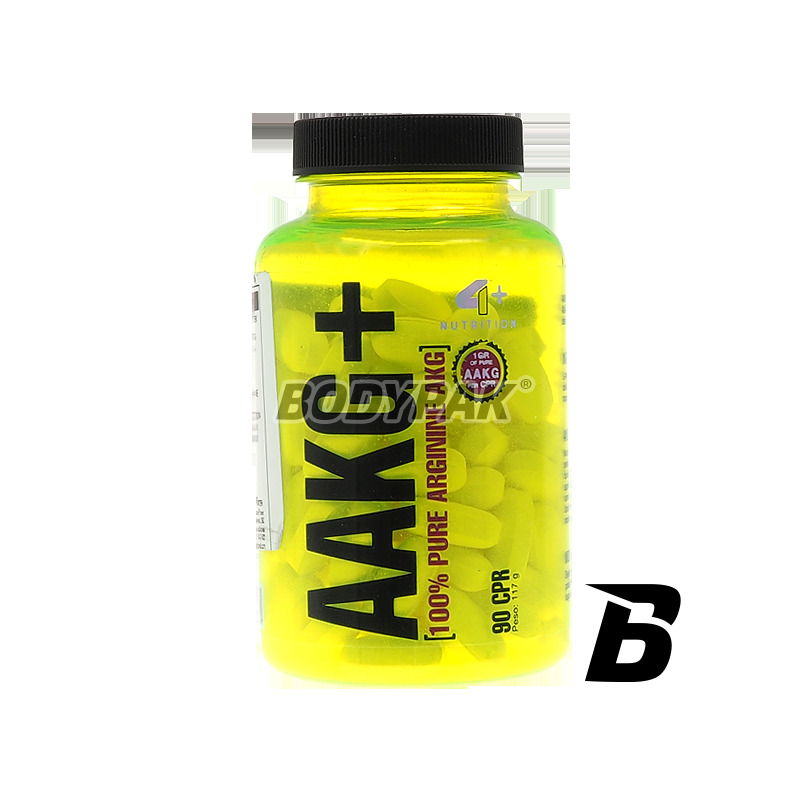 Arginine enables adequate blood, oxygen and nutrients to muscle tissue, facilitating muscle growth, adipose tissue reduction and erection. 4+ Nutrition AAKG + This is nothing but pure arginine. Arginine is transformed into gas hormone - nitric oxide NO. Nitric oxide triggers the production of cyclic nucleotides. In muscle tissue, cyclic nucleotides take part in blood circulation and oxygen, amino acids, creatine and energy components, generating strength impulses and protein anabolism, so ultimately stimulate the growth of muscle mass and strength. In fat cells, however, they intensify lipolysis and thermogenesis, which is the dissociation of spare fat cells which liberates thermal energy. Arginine is transformed into polyamines - essential for protein synthesis. The polyamines not only dobudowują mass of protein into muscle cells, but also produce new muscle cells in the pot already existing. Through them, thanks to arginine, we can expect sustained muscle growth. Then, arginine is transformed into agmatine. 1 serving 30 minutes before training, 2 serving immediately after training. Muscle Pharm is the only commercially BCAA amino acids listed in the ratio 3: 1: 2.